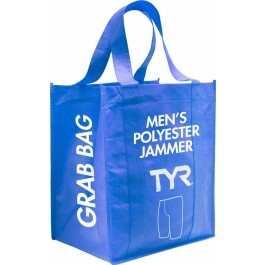 This men's grab bag includes a nylon, LYCRA blend or polyester jammer from one of our prior seasonal styles. Each suit is randomly selected and can be a solid or print. Get a few pairs a year from the grab bag. Can't beat that deal. I wasn't thrilled with the color but it does the job. I've never had any issues with any of the Jammers I have purchased in the past. 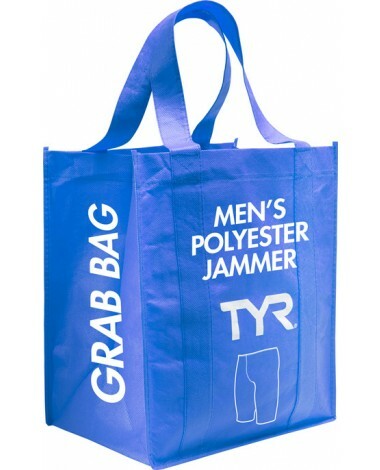 Love the option of purchasing grab bag items for a discounted price. Items were true to size and great performance. Only downside was all three grab bag jammers were pink. Q: Can these be returned if the size is incorrect? Q: what is the difference in the make up and fabrics between the Lycra Jammer and this Polyester one.. Which one lasts longer? A: Polyester swimsuits will outlast Lycra. Lycra provides a more comfortable fit (more stretch) and often provides a more vibrant color / pattern. 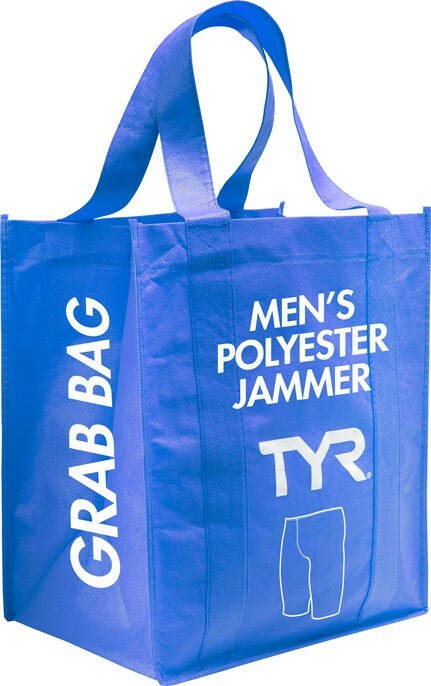 It's often a matter of user preference, but where durability is concerned Polyester is a better choice.